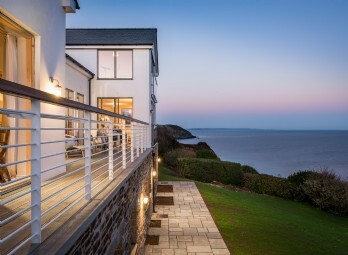 Impeccable interiors, sea-salted air and panoramic views over Woolacombe Bay make Tamarisk Beach House an idyllic retreat for families and surfers looking for luxury self-catering accommodation by the sea in North Devon. 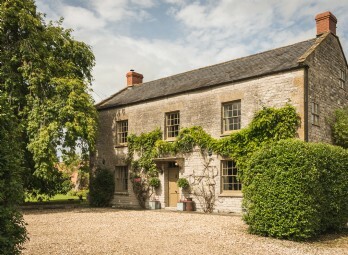 Treacle-toned Cotswold stone, iron gates and heavy antique doors hint at this striking home’s colourful past. 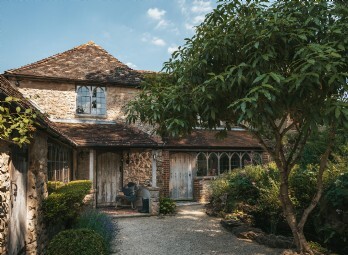 Once a court house and a later jail, Atticus can be found jostling amongst a row of fine period buildings at the end of Burfords' golden high street. 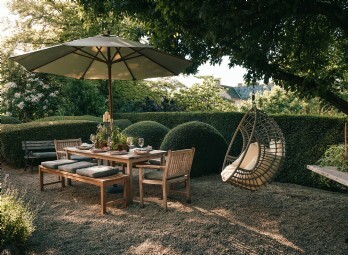 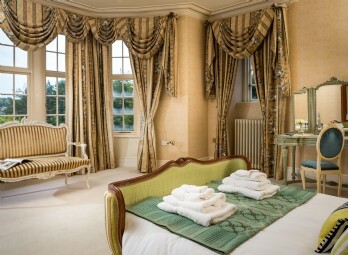 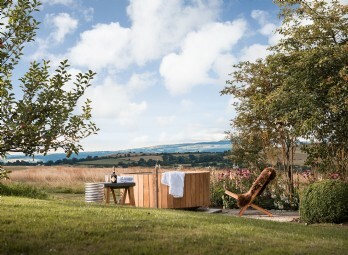 Blending seamlessly with the dramatic scenery of the Brecon Beacons and Black Mountains, Alchemy Hill is a peaceful and stylish retreat set in the rolling hills of Hay on Wye. 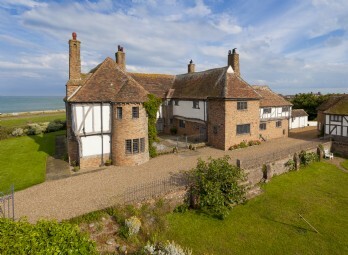 Set in the harbour town of Whitstable in Kent, The Oyster Shell is a contemporary self-catering coastal pad with far-reaching sea views. 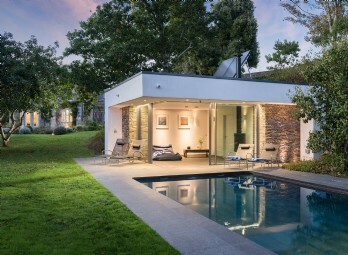 The combination of modern luxuries with sophisticated elegance offers families and design aficionados escapism in style in this architect-designed luxury retreat. 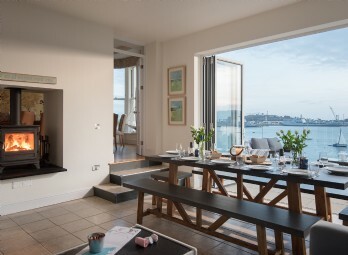 Contemporary self-catering coastal pad with far-reaching views over St Just In Roseland and Mylor harbour. 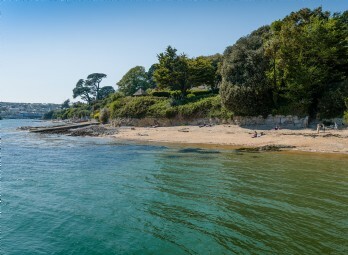 From your hilltop vantage point overlooking Mylor harbour, watch the kites and gulls soar and the busy oyster boats trawling Carrick Roads. 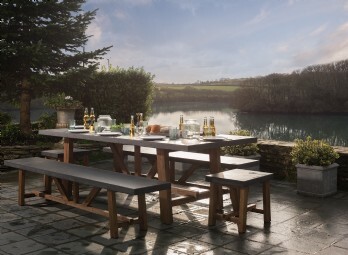 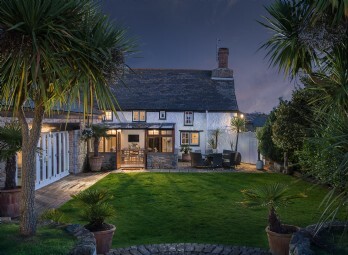 Hugging a bend of the Malpas river on a road lined with Monterey pines lies Stella Maris, or ‘star of the sea’, made for families wanting to immerse themselves in the beauty of Cornwall. 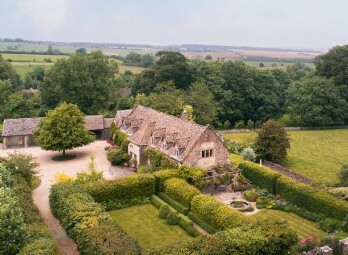 Goldhorn is an exceptional Arts and Crafts house immersed within rolling Somerset countryside not far from Ilminster within the stunning Barrington Court Estate. 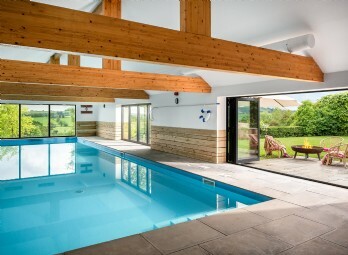 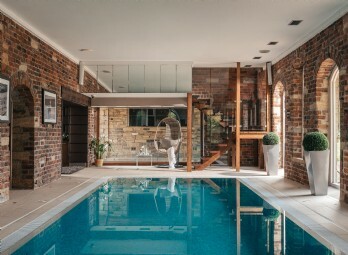 Inspired by the colours and countryside of the Mediterranean, this Gloucestershire home with heated outdoor swimming pool and hot tub, is the perfect family retreat. 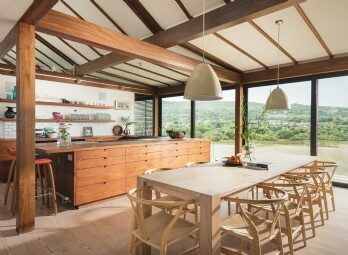 Looking out across Studland Bay and the rolling Dorset countryside, this modern home is the perfect base for summer holidays by the sea. 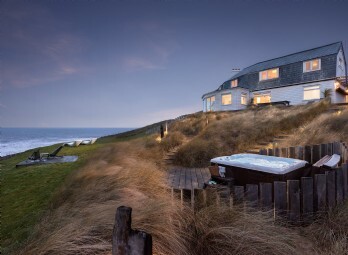 A soothing escape on top of a cliff at Mawgan Porth, Saphir Beach House is a relaxed self-catering retreat where the fresh sea air will cleanse the mind and ease the soul. 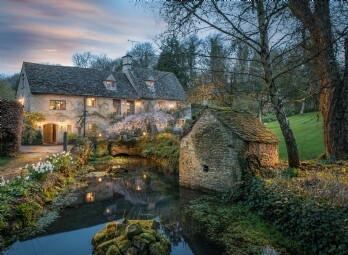 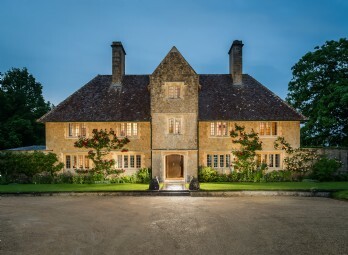 This magical Cotswolds millhouse calls you to run wild in private woodland, get lost amidst secret wildflower meadows, dive into a 12-metre indoor pool and unfurl within lavish Jacobean interiors. 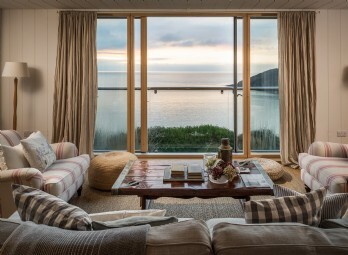 Designed to follow the natural curve of the cliff on the western cusp of Whistand Bay in south Cornwall, this luxury self-catering beach house in Portwrinkle promises to bring a sense of freedom, escapism and pure relaxation to all who stay. 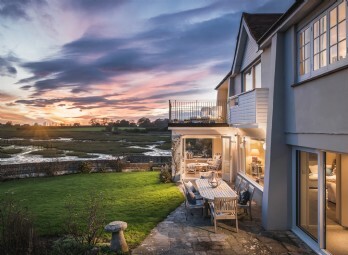 Proudly sat at the head of the creek with south-facing views over Chichester harbour and beyond, Snow Goose is a luxury self-catering riverside home in West Sussex. 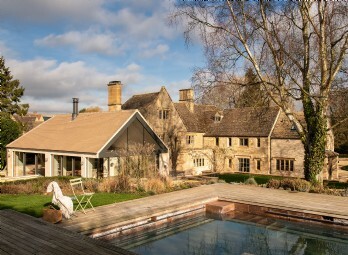 Ancient Cotswolds barn meets contemporary charm at this luxury self-catering country house near Cheltenham. 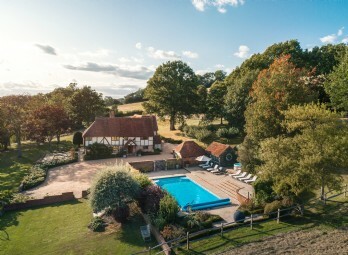 A stylish sanctuary for large family gatherings and a perfect private retreat to retire to with friends after fun-filled antics at the races. 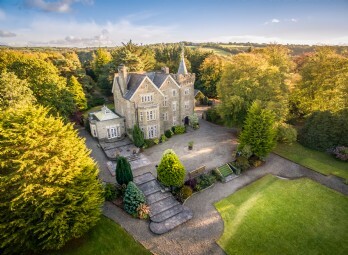 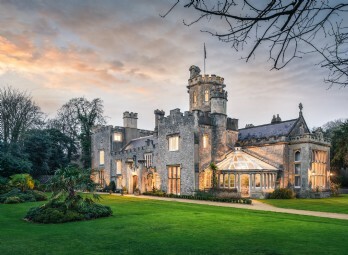 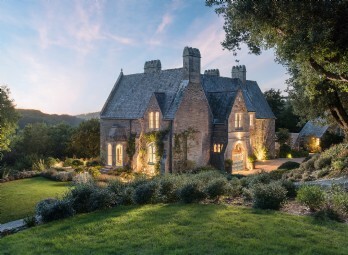 Be Lord of the Manor at this 240-year-old gothic castle set within manicured lawns and wildflower meadows within walking distance of the Somerset coast. 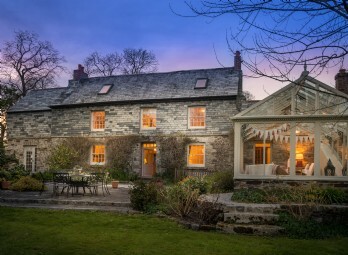 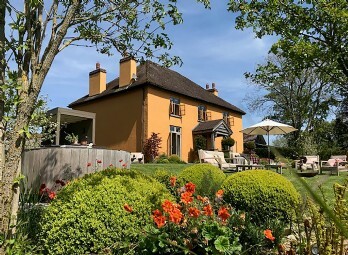 Tenderly cosseted by the arms of the Tamar Valley, this stylish luxury self-catering farmhouse with natural outdoor swimming pool sits in an Area of Outstanding Natural Beauty. 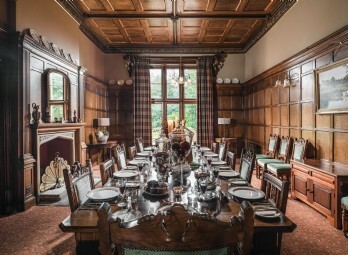 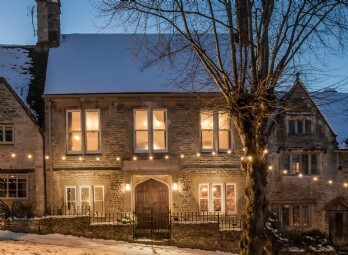 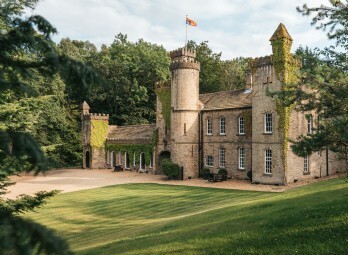 A luxury self-catering homestay for extended families and large parties, Castle Trinity is an exclusive kingdom of ritzy indulgence near the Peak District. 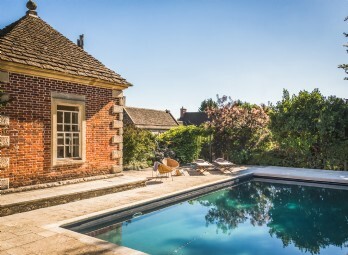 Classic and tasteful in style, with pops of modern artwork, a heated outdoor swimming pool and immaculate attention to detail, this Frome country home is an exquisite Somerset retreat. 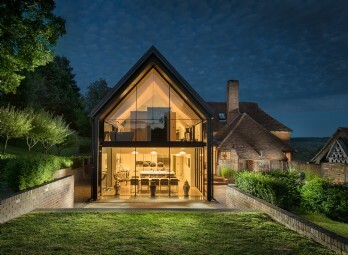 Meticulous design and eco-friendly credentials have seen this former water pumping station in Pulborough's sought-after village of Nutbourne transform into an award-winning self-catering home. 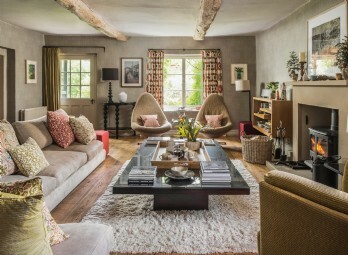 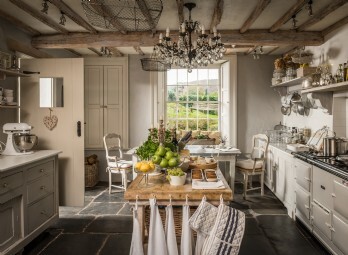 This enchanting 400 year old millhouse is chock-full of old-world charm. 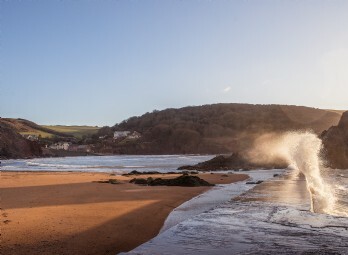 Set in the South Hams near Dartmouth, the dreamy south Devon coast is almost within touching distance and short stroll through the valley leads to the sheltered cove of Blackpool Sands. 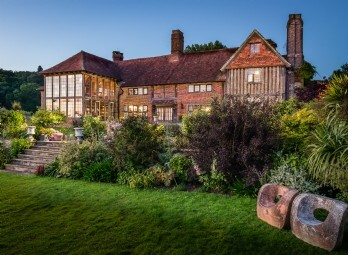 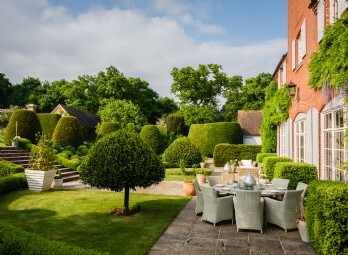 Once home to the family of Roger Hargreaves (of Mr. Men fame), Ever After affords families the chance to shape their own stories within 57 private acres of rural Kent's High Weald AONB. 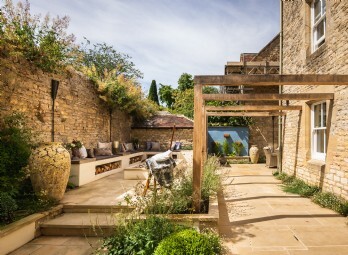 Within a scene of tumbling hills, patchwork countryside and bluebell woods, this luxury self-catering homestay near Cirencester offers a picture-perfect escape in the rolling Cotswolds. 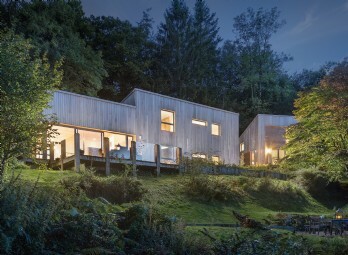 Set in an Area of Outstanding Natural Beauty near Lyme Regis on the Devon border, this stylish architect-designed self-catering home boasts dramatic far-reaching woodland vistas. 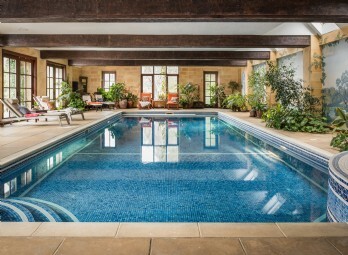 Along with its 14 acres of beautiful gardens and outdoor swimming pool, this large family farmhouse in Blisland will create cherished family memories of a time well spent. 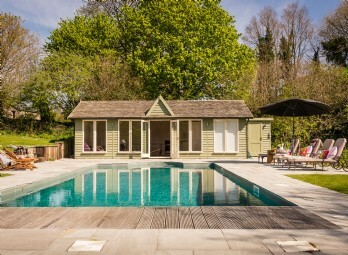 Those looking for a sublime holiday home close to the beach, boasting indoor swimming pool, cinema room, hot tub and mod cons need look no further! 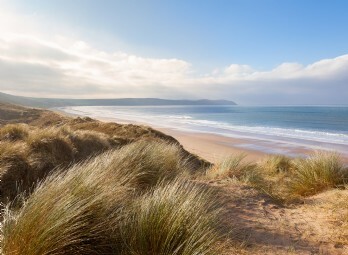 Ellenglaze in Holywell Bay will enchant families wanting the ultimate holiday home from home. 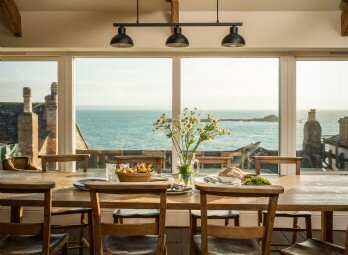 This iconic fish store turned family home celebrates the beauty that a passage of time brings to a home, offering luxury living by the sea in Mousehole harbour, west Cornwall. 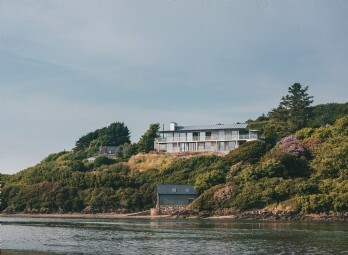 Nestled on the green cliffs of the Pembrokeshire coast, this luxury self-catering home in Wales is the perfect family retreat. 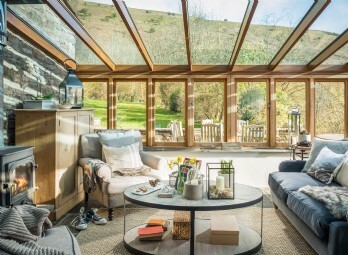 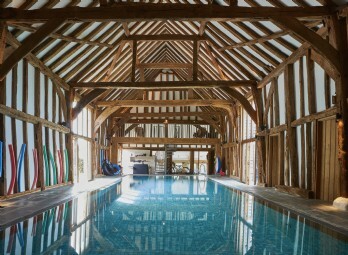 Self-catering homes don't get much more fun than this! 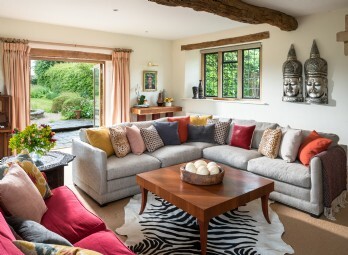 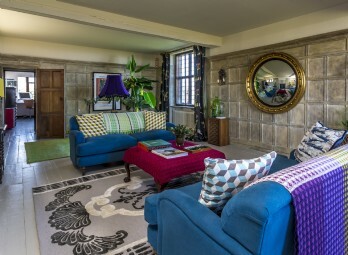 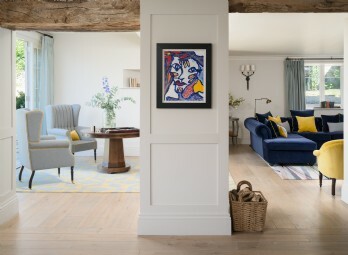 Bright colours, bold patterns and an eye for detail make this Hampshire house nothing but a dream. 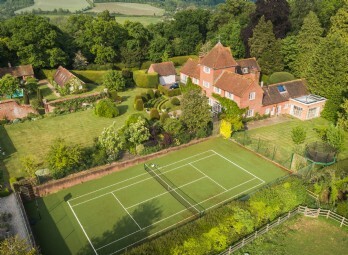 A beautifully designed Grade-II listed old parsonage with stunning gardens, set on the outskirts of Ombersley in the rolling green Abberley Hills. 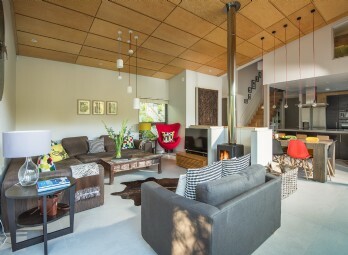 Available as a unique pairing of properties with Papilio Creek, Orbis offers simple and contemporary living in the heart of rural Dorset. 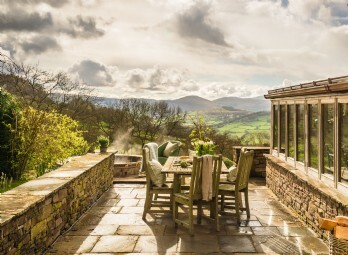 This family home sat beneath the peaks of the Brecon Beacons has been sympathetically renovated into a countrified yet stylish abode, complete with a hot tub on the private sun terrace. 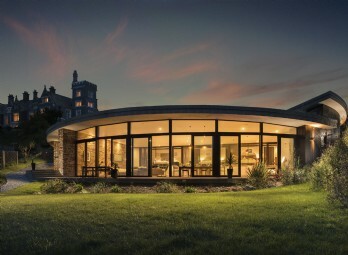 Infinity occupies a prime clifftop position overlooking the unspoilt cove and turquoise waters of Gorran Haven. 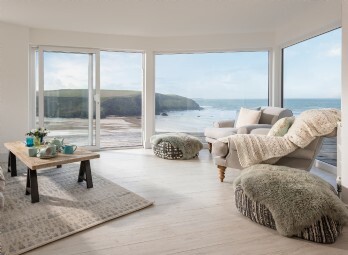 With oodles of space, this luxury beach house sets the scene for fun-filled family holidays in Cornwall's stunning Roseland Peninsula. 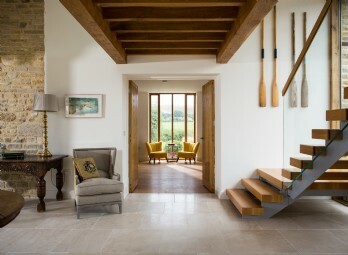 Traditional Cotswold stone provides the golden foundations for some striking modern flourishes at this luxury farmhouse retreat. 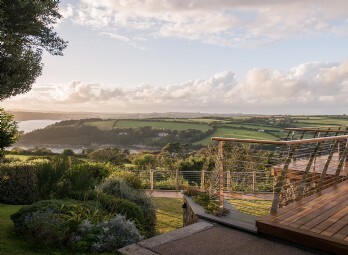 Flaunting a glorious waterside position, this luxury self-catering home sits on the Penryn River in the west Cornwall village of Flushing. 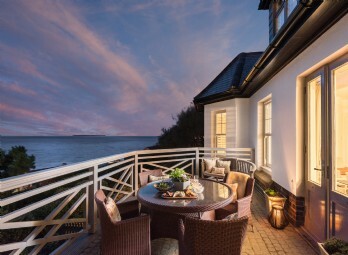 Modern coastal interiors, a hot tub and private beachfront make Atlas House an idyllic coastal retreat. 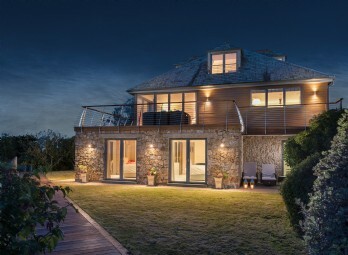 A stunning rectory renovation overlooking St Mawgan Village and beyond to the North Cornish coast. 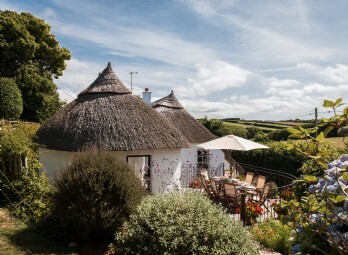 An idyllic family home for luxury self catering holidays close to Watergate Bay. 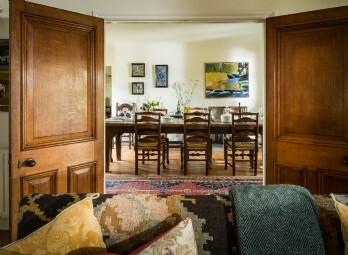 Pets: Two dogs over 12 months are welcome on prior request. 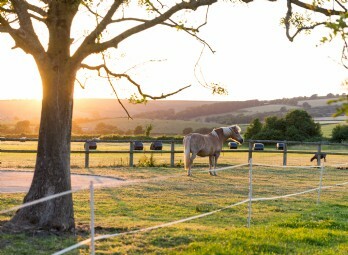 Zip down English country roads to the haven that is Amethyst Meadows. 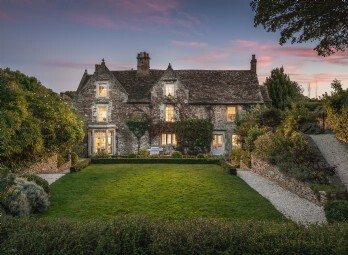 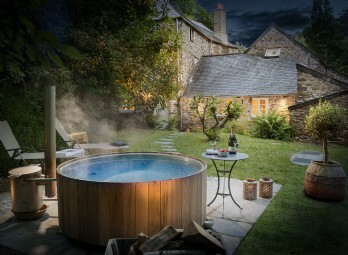 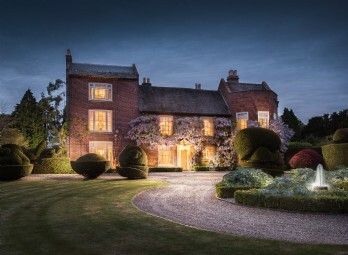 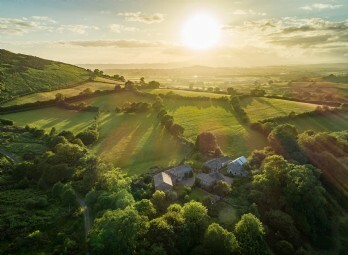 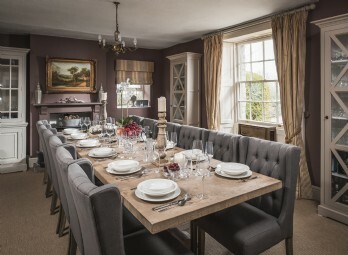 This wisteria-cloaked Georgian farmhouse sits in the picturesque hamlet of Huxham near Glastonbury, offering luxury self-catering escapes in the hummocky hills of Somerset. 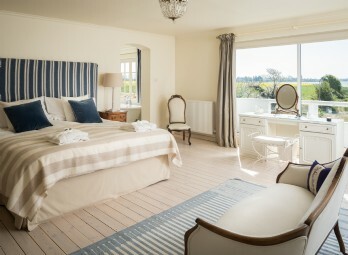 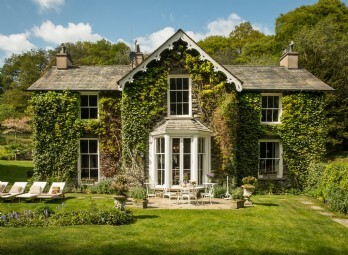 A beautifully-appointed stylish large country house set in five acres of magical gardens near Aberaeron, Ceredigion. 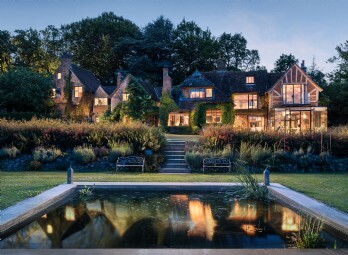 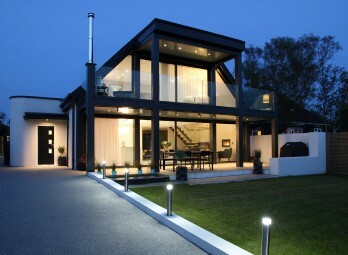 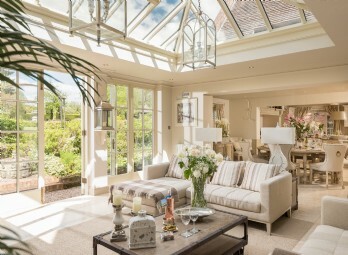 A luxury home for family celebrations with plenty of space for several generations to unwind. 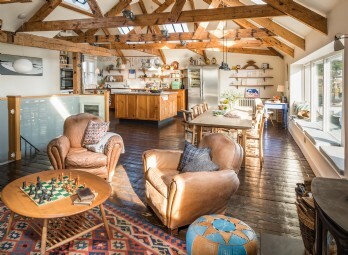 Surrounded by a wild meadow and with far-reaching rural views, this luxury self-catering farmhouse near Hive Beach in Dorset is the family holiday location of dreams. 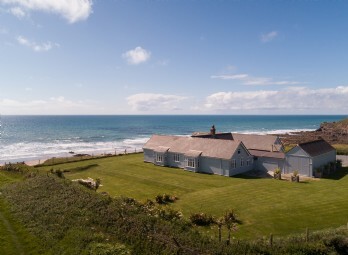 A breathtaking cliff-top large self-catering beach house in north Cornwall offering large luxury accommodation near Bude in north Cornwall for up to 14 guests. 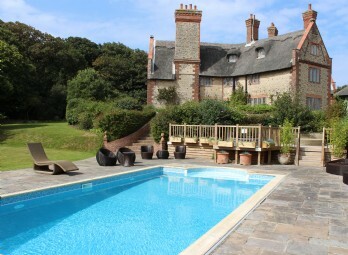 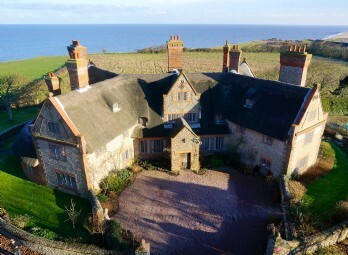 This grand manor house perched on the Norfolk cliffs invites you to cosy up by roaring fires, plunge into the outdoor pool and gather wildflowers in the private woodland. 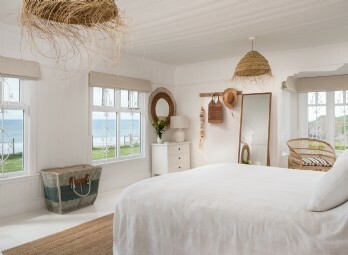 Luxury self-catering boho farmhouse blends original features with stylish interior design in the most fashionable modern-rustic manner, all wrapped up in 100 acres of pastoral paradise.